For Sale: Metropolis “UTAMOH” Shirts And Others! I recommend gray shirts for these. There is also a light shirt with UTAMOH in black, and a UTAMOH sticker. Also a “R” banner in red and white. 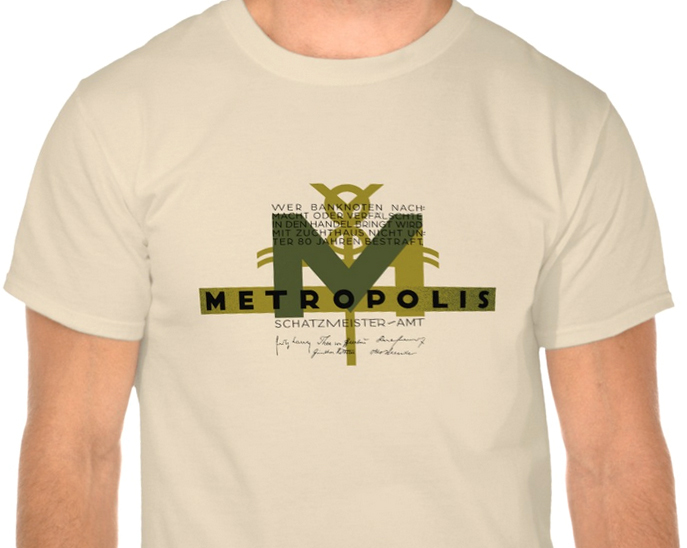 Author Staff WriterPosted on October 14, 2015 Categories Design, Physical ObjectTags Advertisement, Fritz Lang, Metropolis, Shirt, UtamohLeave a comment on For Sale: Metropolis “UTAMOH” Shirts And Others! For Sale: Graphics from Metropolis (1927)! It’s an arrangement of some of the elements found on the banknotes. 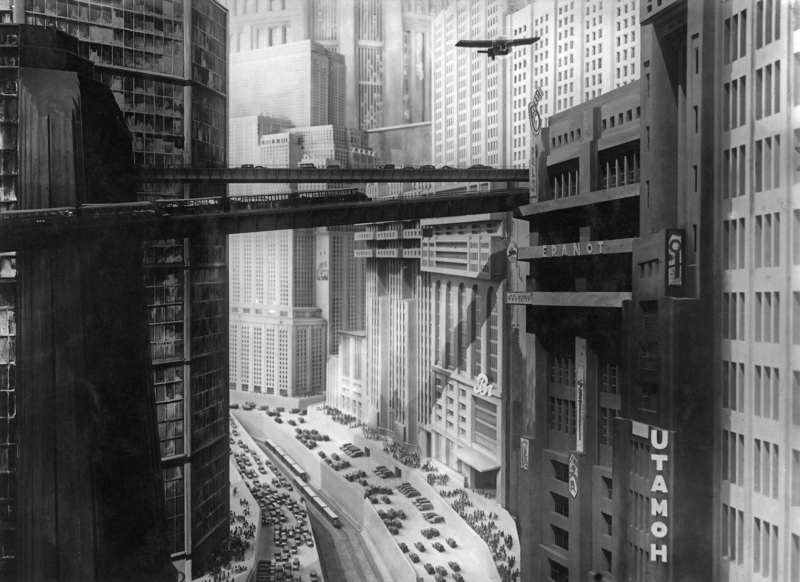 Author Staff WriterPosted on September 25, 2015 Categories Design, Physical ObjectTags Advertisement, Fritz Lang, Metropolis, Pin, Shirt, ZazzleLeave a comment on For Sale: Graphics from Metropolis (1927)! There’s one thing I’d like to tweak, but the 500’s are almost done. I’m going to ask the question that I’m sure is on everyone’s mind: how is Elvis, and have you seen him lately What am I up to when I’m not watching movies or working? Well, you already know I’m working on replicating the graphics from the Jurassic World trackers, building a Marko Ramius costume from The Hunt for Red October, and to those I’ll now add replicating the money from Fritz Lang’s Metropolis. I originally attempted this in 2003(! ), using low res pics and Photoshop. Now I have much better refs and the power of Adobe Illustrator. I am certain these will be the best replicas on the market when they are finished. I’ve already got the 100 bill done. Some of the design elements from the 100 are reused on the 500 and 1,000 with no changes. I have re-drawn by hand the signatures. I have meticulously tweaked the colors, and I have even recreated the watermark in the paper. 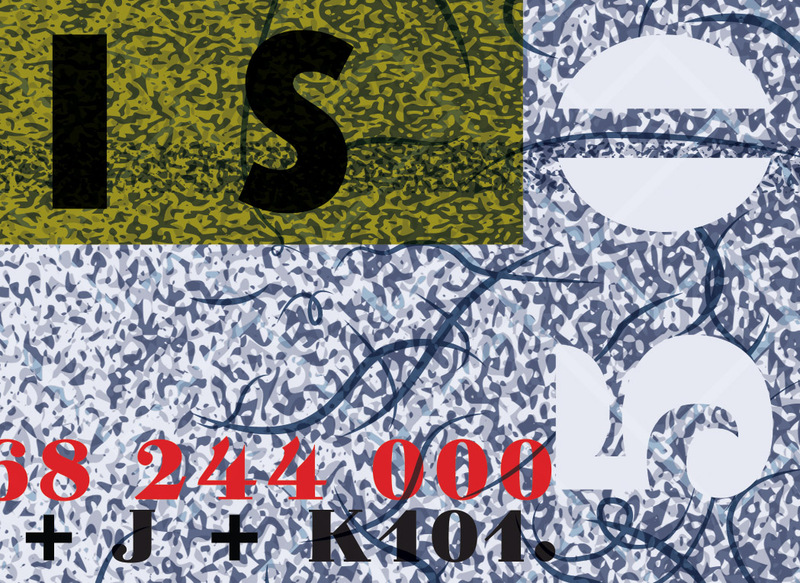 I have tweaked and completely redrawn individual letters and numbers. When ‘close enough’ isn’t close enough. Happened across this on the internet today. Beautiful details everywhere: tiny signs, tiny cars and tiny people! Wish it had the top half of the photo.